(CBS) - Megaupload users are organizing a complaint against the U.S. Federal Bureau of Investigations because of a mass wipe of the website's files last week. The website TorrentFreak reported, Pirate Parties around the world are compiling a list of people who want to file a joint complaint against the FBI. "The widespread damage caused by the sudden closure of Megaupload is unjustified and completely disproportionate to the aim intended," a representative from the Pirate Party announced. 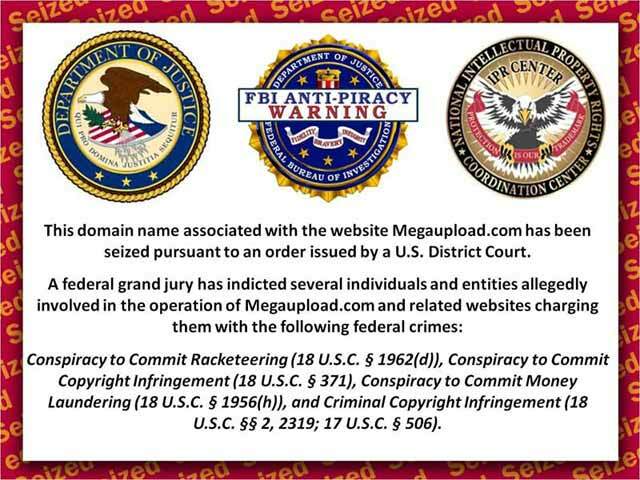 Megaupload was taken down last Thursday after the site's founder Kim Dotcom was arrested in New Zealand for piracy and money laundering. The Pirate Party is accusing the FBI of violating "Articles 197 and 198 of the Spanish Penal Code by misappropriating personal data." Megaupload is a file-sharing site used for files too large to send via email. While the infrastructure of the site itself is not illegal, the Motion Pictures Association of America alleges the majority of files shared on Megaupload are in violation of copyright laws. The site made money by charging a subscription free for faster downloads and advertisements.